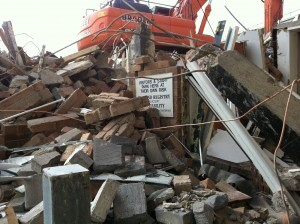 Hope someone ordered the skip…! 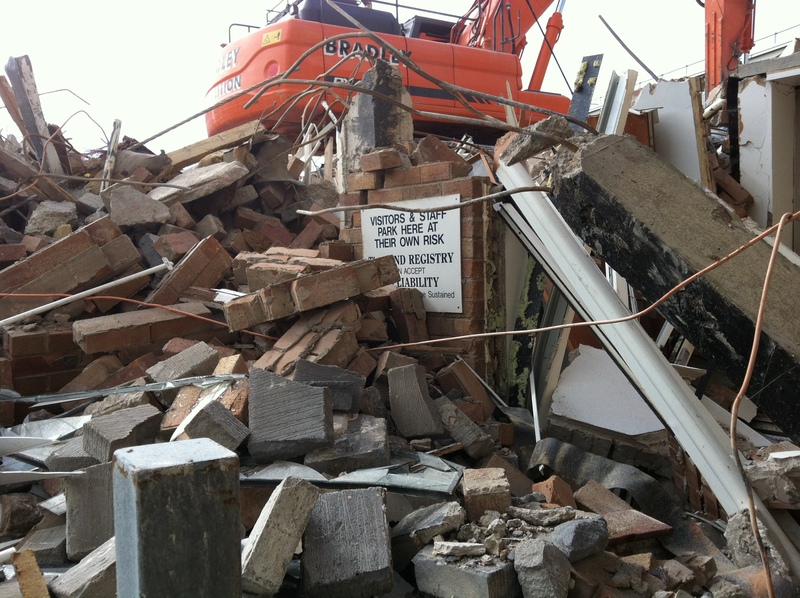 and we’re off…hard hats at the ready…the demolition has started down at the Jubilee House. Whilst there is still so much to do it’s a fantastic feeling and accomplishment to get to this stage so quickly. A momentus occasion! Check out the Gallery for further photos. This entry was posted in Demolition and Ground Works, Uncategorized and tagged demolition, Demolition Day, photo Gallery by Helen Broughton. Bookmark the permalink.